Hello, anyone who might be reading this after reading my column in today’s Muscatine Journal. This is a story from last fall on my Facebook page, but it will be new to some of you — wanted to make sure something was posted on here this morning just in case someone decided to check it out. Welcome and thank you for reading. My friend, Nick The Plumber, rode to the rescue. When Nancy left for work, she had one request: Fix the leaky upstairs toilet. Apparently, she didn’t like the way I fixed it when it started leaking earlier in the week. My fix was to shut off the water to stop the leak and suggest she go downstairs to use the other toilet. Jobs of this sort are never easy at our house. The first challenge of the day was to just find the right tools. Finally, I gave up and made a trip to Wilson’s True Value Hardware Store, where I bought a pair of channel locks. I came home and tightened what looked to be loose, but it didn’t stop the leak. This wasn’t terribly surprising. I’m kind of good with words, which makes me more Joe The Plumber than real plumber. 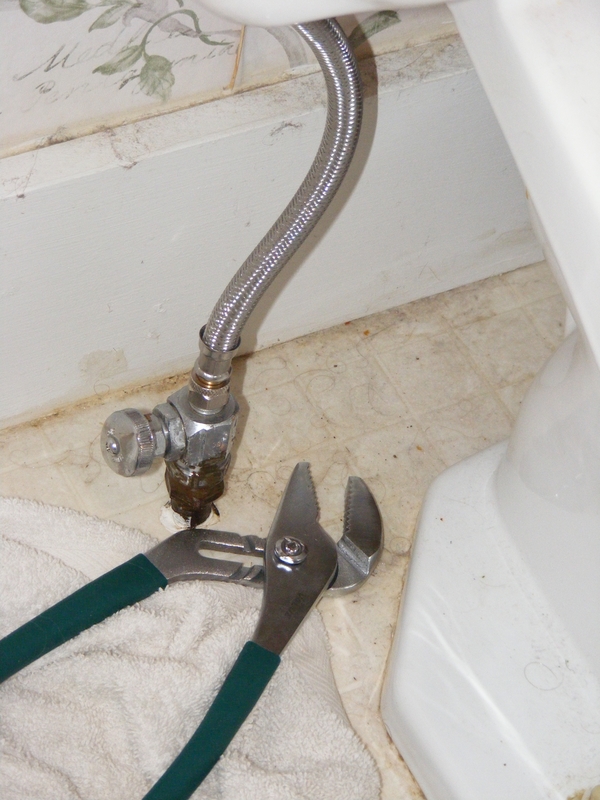 My friend, Nicholas Harry Ratcliff, however, is an honest-to-goodness plumber. And he’s only a phone call away. I assured him it was more than that because a stream of water was leaking from the plastic fitting where the pipe attached to the underside of the toilet tank. “You’re going to have to go to Wilson’s,” Nick said. He told me to buy a 12-inch closet supply made of braided metal – or something like that; remember, I’m more Joe the Plumber than real plumber. Make sure the fittings on both ends are the same size as the old fittings, Nick said. After a second trip to Wilson’s and some help from an employee there, I bought what Nick said I needed — paid $4.38 for it. I came home, put it on and – are you ready for this? – fixed the toilet. And now I’m going to take the rest of the day off.